There was a time when piloting jets ranked at the top of Alan Brayton’s list of career pursuits. When that dream job fell through – he was deemed medically unable to fly after being accepted into the U.S. Air Force Academy – Brayton turned to other avocations: business and law. Today, 28 years after he graduated from the Academy as a commissioned second lieutenant, Brayton has plenty to show for his courtroom savvy and business acumen. He is the founding partner of Novato-based Brayton Purcell, where a good portion of his efforts are directed at managing the firm. He is considered one of the area’s premier litigators in asbestos-related cases. He is a known specialist in handling bankruptcy trust cases for asbestos victims, which he says “takes up a fair amount of my time.” He is, according to both colleagues and adversaries, a shrewd negotiator, skilled in the courtroom and a passionate advocate for his clients. While Brayton still advises clients and negotiates with insurance companies in bankruptcy cases, it has been a while since he has taken to a courtroom. Under his leadership, Brayton Purcell has recorded dozens of favorable verdicts, including the largest asbestos case award granted by a California jury: $33.7 million to a former Navy electrician who contracted mesothelioma, a fatal form of cancer caused by asbestos exposure. The 2002 case, Alfred Todak v. Foster Wheeler LLC (Superior Court of California, San Francisco, case number 320621), was tried by senior partner Gilbert Purcell and resulted in a $22.7 million award for the victim and $11 million for his wife for “loss of consortium,” according to a published report on the firm’s Web site. Brayton Purcell also handles product liability and the occasional medical malpractice case. Brayton himself, has mastered the art of winning without going to trial. Another one of his adversaries, Michael Marron, settled more than a thousand asbestos-related cases with Brayton on behalf of numerous clients. Marron could not say enough about Brayton’s business sense and practical approach to finding satisfactory results for both sides of a case. Marron said when the bulk of the asbestos cases surfaced in the 1980s, he and Brayton agreed to be candid and forthcoming about what their clients were looking for. “We made the proverbial back-of-the-paper-napkin deal, where we drew up a whole matrix of settlement numbers,” Marron said. “My clients never went to trial. I thought getting my clients out of these (cases) was the best thing, and Al basically came up with the solution. Brayton’s no-nonsense approach carries over into leadership roles with professional organizations and as a nationally renowned expert in asbestos litigation. He is a past president and still sits on the executive board of the Public Justice Foundation, has served on the Board of Governors for Consumer Attorneys of California and reviews and comments on proposed legislation that affects consumer rights and access to justice. He has also testified before Congress on behalf of asbestos victims against attempts at relaxing stringent asbestos industry controls. In Brayton’s mind, the main fight for trial lawyers continues to be in spreading the truth. Business interest groups wanting to close the doors to justice have taken to all manner of propaganda in order to place trial lawyers in a negative light, he contends. “One of the most difficult things we’re continuing to face is an assault from the U.S. Chamber of Commerce. 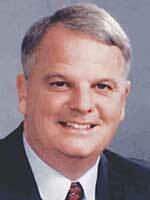 They have tried to demonize trial lawyers,” Brayton says. “It’s a continuing battle in letting people know what we do – creating a positive perception. Many of the things being said (by detractors) are pure fiction, or if there’s any truth to what they’re saying, there’s usually a rational explanation. We always have to be aware of that – we need to always keep in mind all the good work trial lawyers are doing. Born in Sacramento and raised in Redding, Brayton graduated from Shasta High School and soon thereafter headed for the Air Force Academy in Colorado Springs, Colorado, with dreams of flying. Despite his inability to become a pilot, he stayed in the Air Force, earning a bachelor’s degree in economics from the Academy and eventually serving a total of 13 years. While he was still active, Brayton earned a master’s in finance from UCLA and a juris doctorate from UC Berkeley’s Boalt Hall School of Law. More than half of Brayton’s time in the military was spent as a Judge Advocate, which essentially served as his apprenticeship in trial law. When he left the Air Force, Brayton joined two fellow reservists in their private practice in Novato, where he concentrated on aviation cases and got his first taste of asbestos litigation. Years later, when he split from those partners to start his own firm, he took with him dozens of asbestos clients and a knack for business management. Brayton, who will turn 60 this year, has continued in that mold to this day, even outside of his Brayton Purcell office. He owns Paradise Vineyard in southern Sonoma County and is planning to add a full-scale winery and tasting room to the property in the near future. “We sell most of our grapes and bottle about 1,500 cases a year,” he said. “We’re unveiling a new label, ‘37,’ with its first bottling this year.” The 100-plus-acre vineyard, located on Highway 37 near Highway 121 in the vicinity of Infineon Raceway, currently produces Chardonnay, Rose, Syrah and Pinot Noir under the “Paradise View” label. Whatever future triumphs are in store from his winemaking, Brayton isn’t yet ready to toast to an early retirement from law. The interest of the firm and its clients, as always, remain top priorities. Beyond those, he may feel a sense of obligation toward keeping his fellow trial lawyers on track, especially those on the proverbial front line.